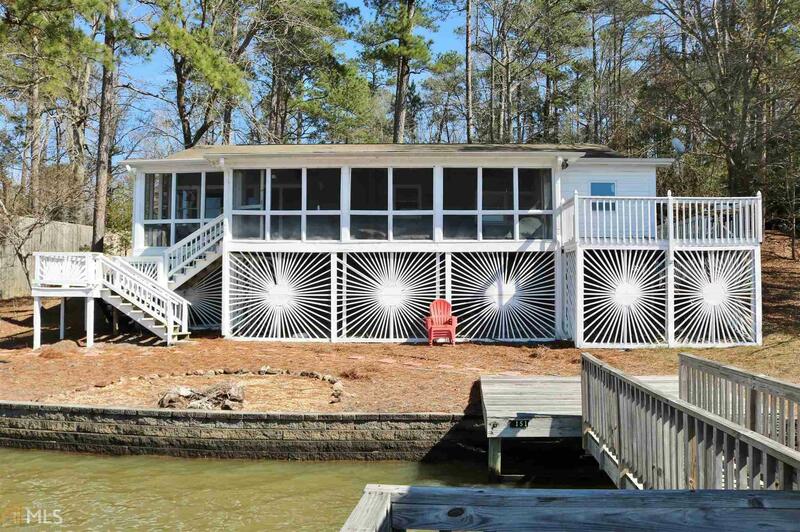 Come see this fantastic waterfront home just feet from the lake with a huge view from just about every room in the home. This home has been recently renovated. Home has new flooring throughout, all bathrooms have been renovated and have new fixtures, & new paint throughout the home. The large single slip stationary dock has a lift in it, has a swim platform, and is the max sq ft allowed. The depth off the dock is anywhere from 15-20 ft deep when the lake is at full pool. The lake side of the home has a huge screened porch with storage below it for storing lake equipment and toys. There is a large parking area on the street side of home big enough to park vehicles and store trailers. The property is private w/ woods between neighboring homes on either side. Directions: I-20 - Exit Covington, Take Hwy 36 West, Left On Henderson Mill Rd, Right On County Line Rd; Continue On County Line Ext (Left @ Fork), Right On Deep Water. Follow Crowe Signs To 175 Misty Lane.